How accurate can my dry powder re-hydration system be? Home / How accurate can my dry powder re-hydration system be? When we get this question from customers or potential customers, we have to follow it up with a question of our own: How accurate do you need it to be? The Semi-Bulk VACUCAM® systems can be designed to be as accurate as you need for your dry powder/liquid mixing needs for beverage, confectionary, dairy, health and beauty products, paint and coatings and chemical manufacturing. Traditional mixing technology requires the dumping of bulk bags or feeding from a hopper. These can be highly inaccurate, labor intensive and result in wasted raw materials. Controlling and managing the dry materials requires counting bags and scaling and weighing powders. And with bulk bags, some of the material is nearly always retained in the bag. Once production starts, agglomeration often occurs creating the need to spend time, money and energy on re-mixing processes to eliminate the “fish eyes” created. In addition, a substantial portion of your mixed materials is lost in the re-processing. 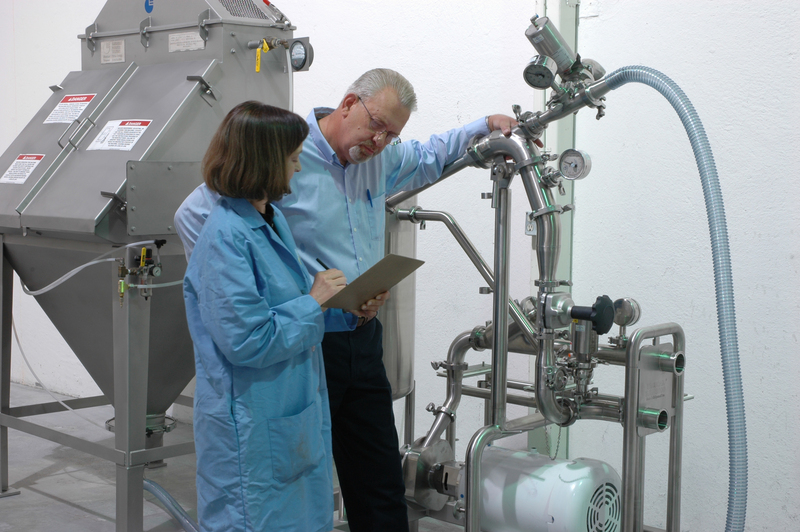 Semi-Bulk Systems was created to design a dry liquid blending automation system customized to your re-hydration needs. 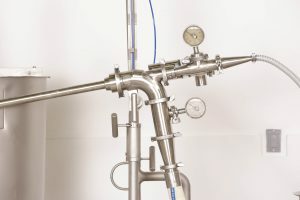 It’s not just a mixer, it’s a system so depending on instrumentation, load cells, and flow and density meters designed into the system, we can meet accuracy requirements within +/- .01%. At the heart of every Semi-Bulk System is our patented VACUCAM® Ejector Mixer. The VACUCAM technology achieves high-capacity, instantaneous and complete wetting by bringing together conditioned powder and highly atomized liquid from two separate streams. So it doesn’t just mix, it emulsifies particles of liquid with particles of powder so agglomeration never occurs eliminating the time, money and energy required for re-mixing. In short, your plants can increase throughput without sacrificing accuracy. Less handling, resulting in lower labor needs. Less waste than occurs when scaling and weighing powders. Without the creation of agglomeration, your final product is exactly the same. Lower raw materials costs. Again, eliminating agglomeration wastes product. We’ve helped our customers reach up to a 30% savings. Still not sure how the Semi-Bulk Systems can improve your production? Read more here or simply contact us with specifications and we’ll work through your custom scenario free of charge. How fast can my dry powder re-hydration system be? Is the VACUCAM® just an eductor?